Bruce Maher 5 5 4 5 5 5 5 5 5 Q3: unlisted # but quick responses. 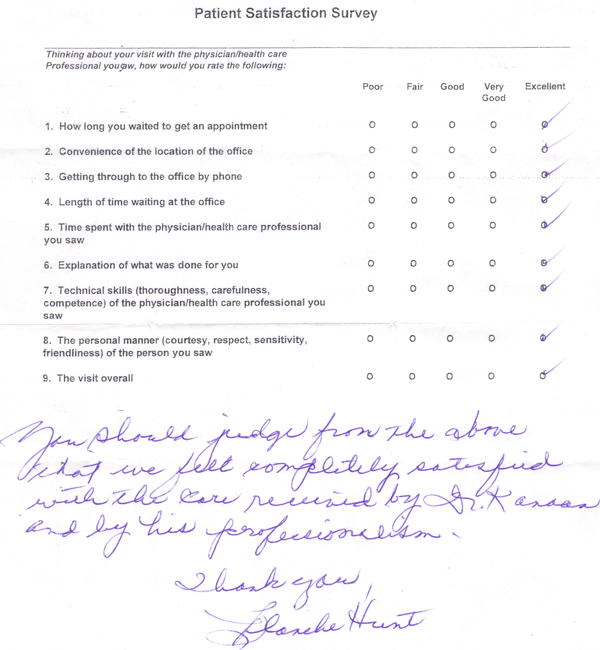 "The best doctor I've met . considering I've had serious health issue since childhood and I'm old, this is quite a statement to make. Even my G.P. is impressed. 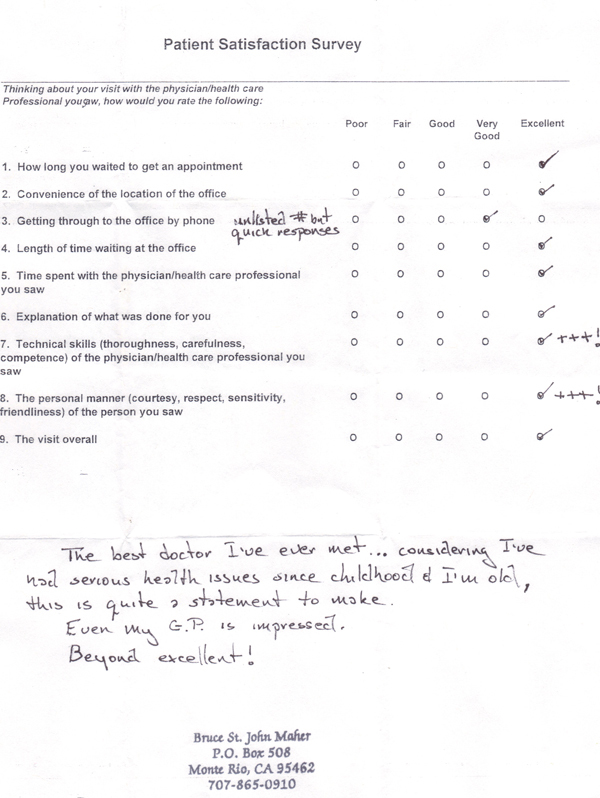 Beyond excellent!" 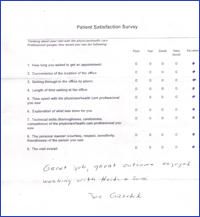 Joe Grzebik 5 5 5 5 5 5 5 5 5 "Great job, great outcome enjoyed working with Heidi and Sumi." 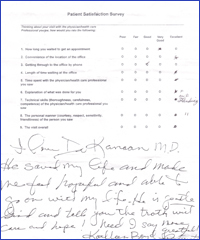 Nancy Anderson 5 5 3 5 5 5 5 5 5 "When calling Dr. Kanaan's telephone #, the recording states that it is a OB GYN office. 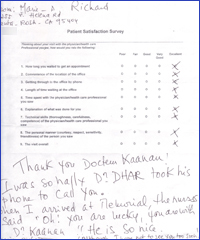 I did not realize or wait beyond that response that Dr. Kanaan was in that office. It took me a week to find that I did have the correct phone # and I had to listen to the whole message. As a result, I was perhaps 10 days in getting in touch with the office." Leland Hoagland 5 5 5 5 5 5 5 5 5 Q6: "and what would be done"
Marie Richard 5 5 5 5 5 5 5 5 5 "Thank you Doctor Kanaan! 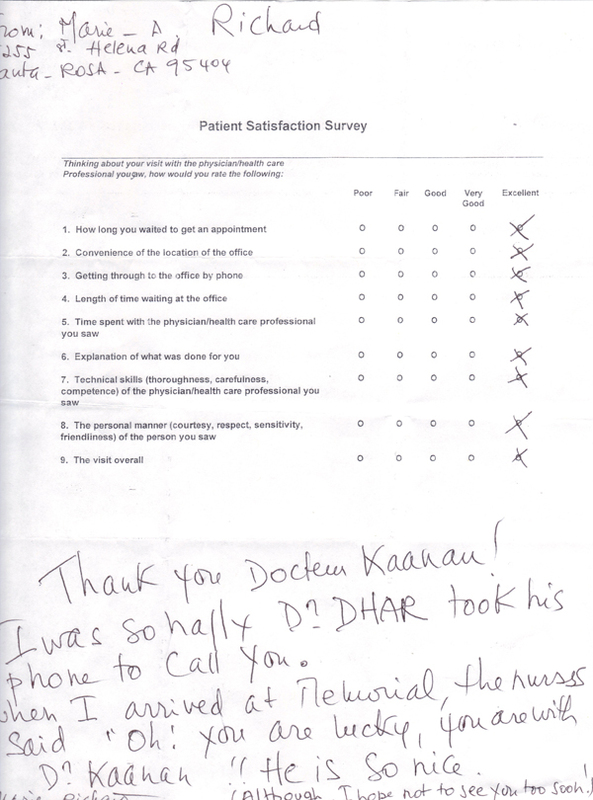 I was happy Dr. Dhar took his phone to call you. When I arrived at Memorial, the nurses said 'Oh! You are lucky, you are with Dr. Kanaan!! He is so nice.'" 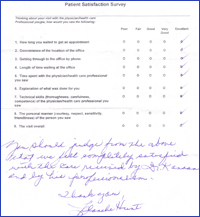 Blanche Hunt 5 5 5 5 5 5 5 5 5 "You should judge from above that we felt completely satisfied with the care received by Dr. Kanaan and by his professionalism. Thank you." Pauline Bennallack 4 5 4 5 5 5 5 5 5 "The only thing that I was not aware of before the surgery was the possibility of a catheter. Had I was not aware of how painful it would be to drain it or how manage the pain." "Nurse assist needs more training on BP's, proper size equipment needed to remove sutures. 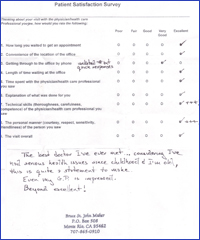 MD was excellent." Susan Carr 5 5 5 4 4 5 5 5 5 Thanks for your service. 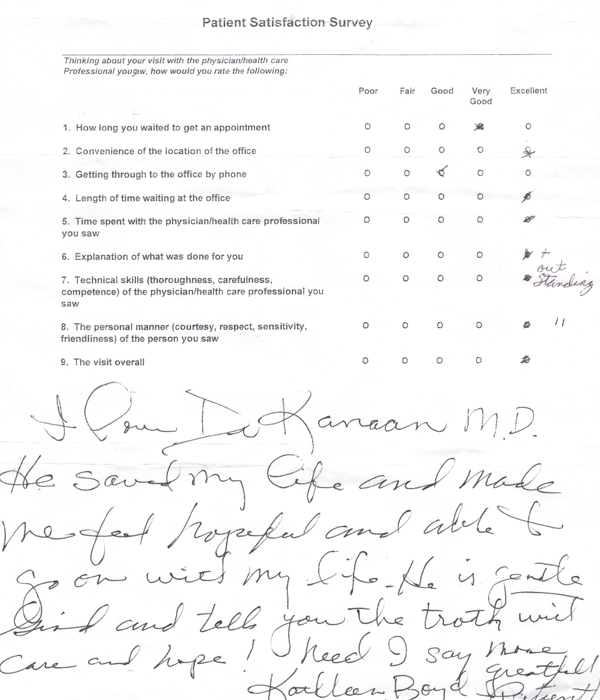 Kathleen Boyd 4 5 3 5 5 5 5 5 5 Q6 and Q8: Outstanding; I love Dr. Kanaan, MD. He saved my life and made me feel hopeful and able to go on with my life. He is gentle, kind, and tells you the truth with care and hope! Need I say more. 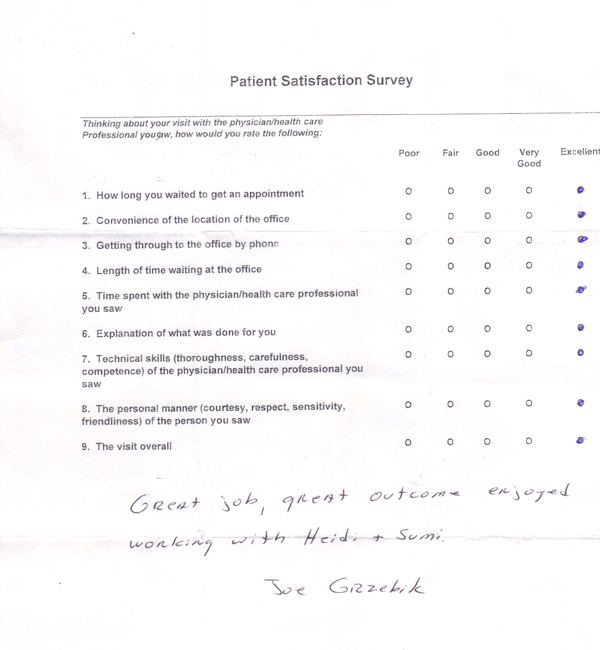 Grateful patient.